Nemours, KidsHealth, and Emmi Solutions joined forces to create EmmiKids®, a powerful online interactive learning tool to increase patient satisfaction and outcomes. Patient families can access EmmiKids anywhere with Internet access by using the login and password provided by a Nemours Associate. Emmi tracks and stores viewing, making it a valuable tool for risk management. Additionally, the partnership created EmmiSafety, a general program appropriate for all families of children having a medical procedure. EmmiSafety can be viewed by families without an access code online at Nemours.org or via the GetWellNetwork at N/AIDHC. Currently, 80% of all inpatients at N/AIDHC view the Emmi safety video through GetWellNetwork prompts that appear on room TVs upon admission. 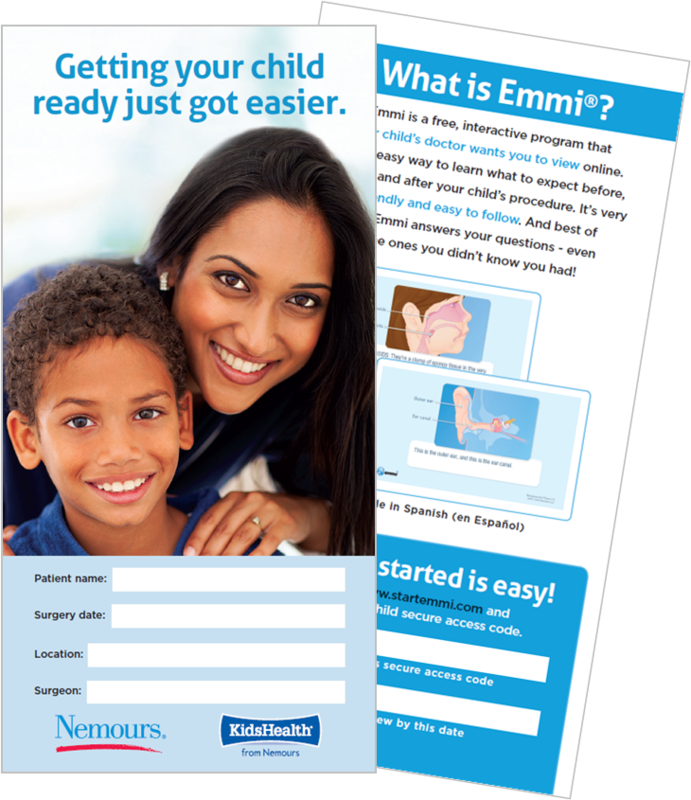 For more information on how to use EmmiKids here at Nemours, contact Pamela Jenkins.